Dominik Grimm contributed to a new book chapter introducing state-of-the-art methods and tools in genome-wide association studies together with Anja Gumpinger, Damian Roqueiro and Karsten Borgwardt from the Machine Learning and Computational Biology Lab at ETH Zürich. The chapter introduces different state-of-the-art statistical models and methods that are widely used by researches for performing, analysing und visualising genome-wide association studies (GWAS). Stechow L., Santos Delgado A. 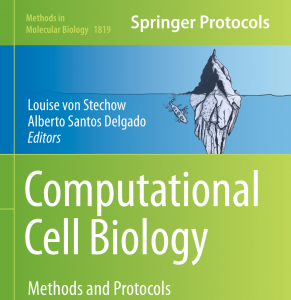 2018: “Computational Cell Biology”. Methods in Molecular Biology, vol 1819. Humana Press, New York, NY 2018. More information can be found on the official project page.